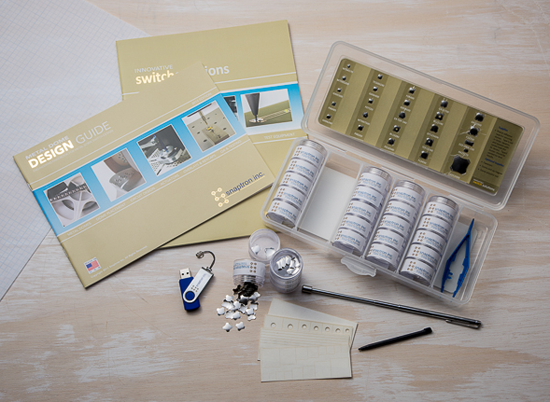 Switch Contacts - Order Your Sample Box Today! | Snaptron, Inc.
Sign up today to receive a free sample box containing various styles, sizes, and actuation forces of our wide variety of switch contact domes. If you would like a particular dome included in your box, then please list the part number(s) in the appropriate area below. *Snaptron does not mail to Morocco, Algeria, Tunisia, Russia, Ukraine, Estonia, Belarus, Kazakhstan, Moldova, or to any referral from free gift sites. Samples will only be sent to companies or individuals that are interested in tactile dome products. What format would you like our catalog and/or design guide?